🏏 Anjum Chopra - Face of Women's Cricket in India! Who said Cricket was a gentleman’s game? Atleast Anjum Chopra didn’t believe so and made herself the foremost name in Women’s Cricket. Former captain of the Indian Women’s cricket team, Anjum Chopra made her debut in ODI at an early age of 17 in 1995 against New Zealand at Christchurch. A right arm medium pace bowler, a left-handed batswoman, Anjum made her debut as an all-rounder, opening the bowling in her first ODI and batting at No 10. With a career spanning over 17 years, Anjum has scaled great heights having played 6 World Cups, including 4 ODI World Cup and 2 T20 World Cup. She became the first woman player to appear in 100 ODIs for India. She holds the distinction of the most successful Indian Test skipper. Anjum is a Padma Shri recipient (2014) and an Arjuna Award winner (2007). Carving out a niche in the male-dominated sport in the country, Anjum has begun to be recognized as the face of women’s cricket in India as a player, captain, cricket analyst, and sportscaster. 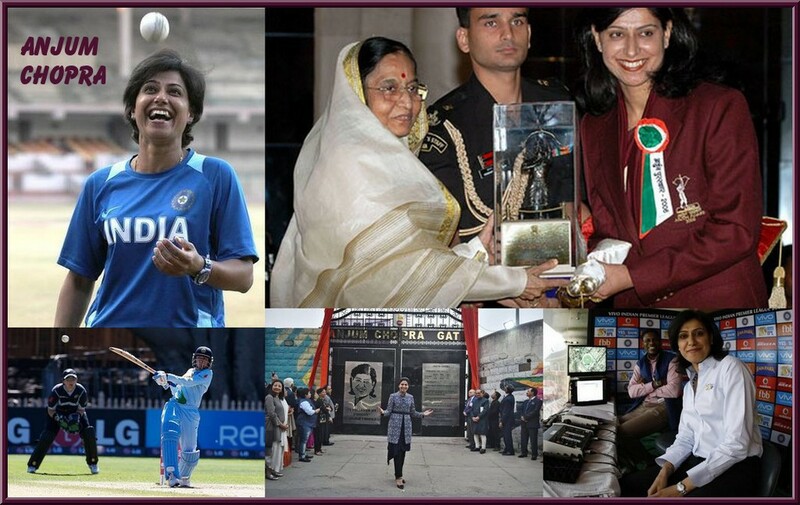 She is an inspiration to women’s cricket in India.